DSC_0005, originally uploaded by indiaeden. I've got three out of four children off school today with head colds, and I'm feeling rather fuzzy in the head myself. Maybe it's a cold, maybe it's pregnancy, and maybe my head is just fuzzy from the constant spinning of grief. I think it's likely all three. Hope you are all feeling much better soon, and that the colds are gone. You have some very talented & thoughful friends. Hope the fuzziness leaves you...the whole family. What a delightful gift! The duvet looks fab too. 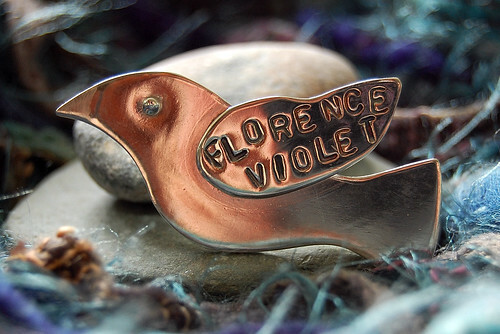 Lovely brooch. Hope you're all feeling much better.